Special Interests/Research area: Radiotherapy risk & clinical audit. Advanced Practice. Workforce Planning. Council Activities: RSM Chair 2012-2016. 2017 President-elect. Represent IIRRT on national committees. Social media. Special Interests/Research area: All aspects of Radiography and how to drive forward advanced practice for Radiographers and Radiation Therapists. Ultrasound and Radiation Safety as well as Professionalism within the professions are key interest areas. Council Activities: Secretary, CPD Committee, Conference Committee, Guidelines, ISRRT Conference 2020. CPD: which endorses / funds relevant courses . IV Course Review: reviews IV courses and decide on professional accreditation of same. Background: Dean Harper qualified in 2004 with a B.Sc. Radiation Therapy (Hons) from Trinity College Dublin. 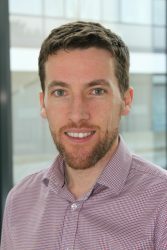 He currently works as a Clinical Specialist in the St. Lukes Radiation Oncology Network in Dublin in the St. James centre specialising in IGRT and SABR. 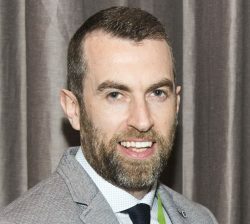 He previously worked in the Mater Private Hospital in Dublin from 2004-2011. 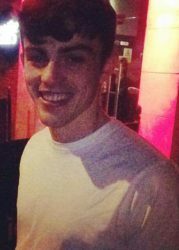 Dean has recently completed a M.Sc. in Radiotherapy and Oncology through Sheffield Hallam University in the UK. Dean is particularly interested in the areas of role development/expansion and is active in local research in the form of service evaluation for service enhancement. Sinead is CPD Officer for the IIRRT. This post is fully funded by the HSE and managed by the IIRRT. 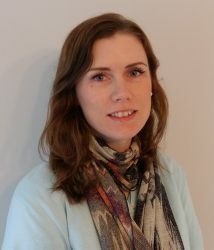 Sinead has been CPD Officer since August 2012 with the IIRRT. This is a part-time role. One of the main functions of this role is to facilitate CPD events nationally for Radiographer’s and Radiation Therapists. 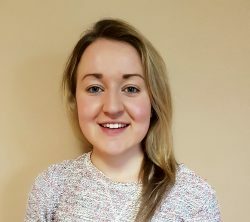 Sinead is focused on assisting Radiographers and Radiation Therapists with their CPD queries and providing a multitude of CPD opportunities to meet their learning needs and the CORU CPD requirements. Sinead also works in a clinical role as a Mammographer with Breast Check Merrion Unit in Dublin. Sinead is part of a Multidisciplinary CPD Officers network comprised of CPD Officers representing each professional body. 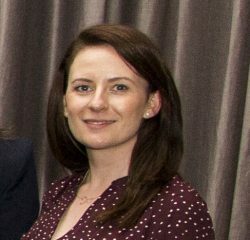 Sinead has recently been appointed chair of the CPD Officer network. Special Interests/Research Area: CPD, Role development, Advanced Practice, Mammography, Quality Assurance, Patient Centered care initiatives, Assessors for MEDRAY /IIRRT Department of the year and Radiographer and Radiation Therapist of the year. Qualifications: BSc in Radiation Therapy, Trinity College Dublin. -Health behaviours and interventions in cancer patients. Professional Interests: I graduated in 2012 and have worked in St. James’s since I qualified. I have a particular interest in Radiographer screening in barium/fluoroscopy exams and developed the protocol for Radiographer screening for video fluoroscopies. I also work in CT and PACS and was involved with the St. James’s Hospital NIMIS Implementation Project. I am currently undertaking an MSc. in CT in UCD. This is my second time on the council after having previously served two years as the DI Student rep.
Work on Council: I am currently involved with the update and maintenance of the website. Workplace/ Professional Experience: Assistant Professor in the Discipline of Radiation Therapy, TCD since 2015. Prior to this I worked as a Clinical Specialist Radiation Therapist in Beacon Hospital and previously worked in Galway (GUH and Galway Clinic) as an RT and Senior RT. Special Interests/Research area: I am currently a PhD student, researching the potential to personalize lung radiotherapy prescriptions. I have a research interest in imaging for radiotherapy and the role of stereotactic radiotherapy in extra-cranial sites. Council Activities: I recently represented the council at the ESTRO 2017 Conference in Vienna. I contribute to the administration and the assessment of Student Research grant applications. I am involved in sourcing speakers for the annual IIRRT conference. After moving to GOSH in 1998, Jenny was appointed Superintendent in 2000 and held the post of Lead Superintendent Radiographer for the department from 2005 until 2012, during which time she received awards for clinical management and leadership skills. Over this time her interest in clinical coaching arose and she has mentored several staff as they have progressed through their careers including professional lead radiographers. 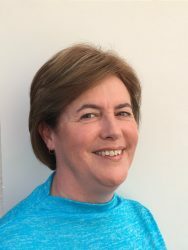 She has held her current role as Lecturer and Undergraduate clinical and CPD coordinator for Radiography and Diagnostic Imaging, UCD since November 2012. While in post, facilitating the development and delivery the first post graduate qualification in Paediatric Radiography has been the fulfilment of a long-standing professional goal. Currently Jenny holds several leadership roles at a national level. 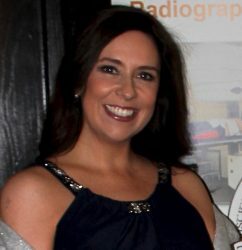 She represents Diagnostic Radiography Education on the IIRRT Council (the professional body for Radiographers and Radiation Therapists in Ireland), she is an Academic Assessor of International Qualifications for CORU (the state registration body for allied health professionals in Ireland) and she represents Diagnostic Radiography on the Health & Social Care Professionals (HSCP) Paediatric Expert Group. Her role has developed to absorb her strong interest in Lifelong Learning and Continuing Professional Development (CPD) from both a management and research perspective. She facilitates the cycle of UCD Multi-Disciplinary Study Days, events which allow her to invite national and international colleagues to join her in delivering best practice perspectives. I have 2 book chapters, 2 journal articles and 5 published reports to date. Special Interests/Research area: Radiation Safety, Professional Development and Education. Special Interests/Professional Practice: I specialised in Mammography in 1996 and have worked in the areas of screening and symptomatic mammography. I have a special interest in Quality Assurance and the impact this has on delivering a high quality, accurate and consistent service to asymptomatic and symptomatic service users. I was programme manager for a screening and symptomatic service in the UK before returning to Ireland in 2006. I took up the role of training coordinator for BreastCheck in 2006 to develop and deliver a postgraduate mammography training programme in conjunction with UCD. In 2011 I undertook a piece of research with UCC looking at CPD and Life Long Learning among Healthcare professionals. Since 2012 I have continued to support and develop CPD opportunities for Mammography radiographers and lead our Clinical Training Team. I also took up a training coordinator role with the BowelScreen programme working with UCD and our Clinical Nurse Specialists. 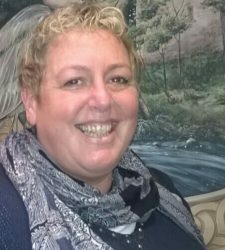 I have an interest in supporting clients with additional needs access our services and have been heavily involved in the development of support services and easy read leaflets for clients with learning disabilities or cognitive impairment. I am currently part of a sub-group for Health & Wellbeing looking at how the new Assisted Decision Making (Capacity) Act can be implemented effectively into all 4 screening programmes. Workplace: UPMC Whitfield Cancer Centre, Waterford. A graduate from Trinity college Dublin. Has been working in UPMC WHITFIELD Cancer Centre, Waterford for 4 years as a Senior Radiation Therapist. She is the link RT for student placements. She has particular interest in the psycho-social aspects of cancer patients undergoing treatment. Workplace/ Professional Experience: 18 years post qualification experience. 10 Years radiation safety officer experience. Current radiation safety officer in Mater Misericordiae University Hospital Dublin. Clinical pathways lecturer University College Dublin. 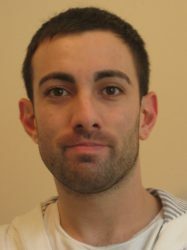 Part-time PhD student, active involvement in research and publication. Special Interests/Research area: Patient dose, diagnostic reference levels, patient skin dose, occupation dose, radiology personal protective equipment, pregnancy policy design, continuing professional development, audit and quality in radiation safety process. Council Activities: Council member since 2014, joint editor Radiography Ireland, EFRS representative, Acute Medical Programme representative, CPD road show team member, CPD committee member, IIRRT Best practise guideline author/contributer. I am in my 3rd year of Radiation Therapy in Trinity College Dublin. I have a particular intrest in radiobiology and am undertaking a research project in the use of PARP-1 inhibitors during radiotherapy. I am currently a final year Radiography student in UCD. I have clinical experience in both the Mater and Beaumont Hospital. I was elected to the council in 2016, and my role on the council is to represent the views and interests of the DI students. Currently employed in University Hospital Waterford. Student placements in AMNCH Tallaght and St. James Hospital, Dublin. Professional memberships: IIRRT membershipSpecial Interests/Research area: My interests include participating and promoting research among new graduates, theatre imaging and radiation safety. Eileen is a UCD graduate with considerable experience in both the public and private sector. 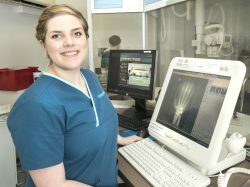 Previously CT CSR in St Vincent’s Private Hospital, Galway Clinic and University Hospital Galway, Eileen has overseen the procurement and installation of new equipment and has developed scan protocols and successfully trained radiographers to a high standard. 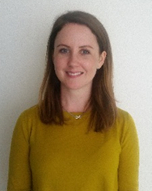 In 2014 Eileen joined the team at UCD School of Medicine as lecturer in Diagnostic Imaging. 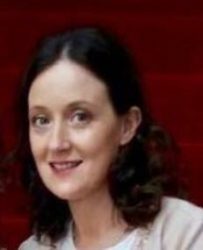 During her period at UCD Eileen taught on the undergraduate Radiography programme and MSc CT programme as well as co-ordinating a number of modules and was supervisor to final year research students. Eileen also successfully organised and co-ordinated the first three-day CT Academy in UCD in 2015 and continues to teach on this annual course. 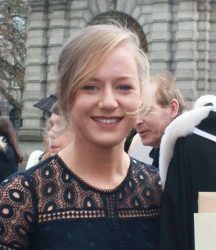 Eileen returned to Galway University Hospitals as RSM1 in 2016. Alongside her RSM1 role Eileen has a keen interest in CPD and developing radiographer led research in the department. Eileen has organised and co-ordinated a number of national study days. 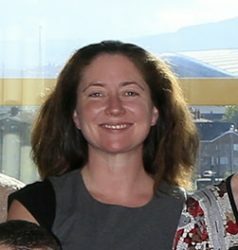 Eileen is a member of the CT working group for Eurosafe Imaging with regular contributions to the website. Sligo University Hospital since 1991 to present, and prior to that in Cork University Hospital from 1988. Lead radiographer in the development of the Sligo University Hospital IV cannulation and contrast administration course, and also the lead radiographer in the roll out of the radiographer led CT Colon service in Sligo. 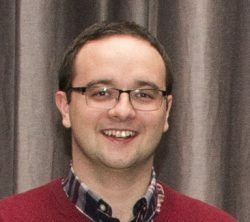 Member of the Sligo PACS/RIS team, involved with the NIMIS project as acting PACS manager in Sligo during the lead up to implementation. (Sligo was the first site to go live in the NIMIS/McKesson PACS project. Nominated for the inaugural Medray Radiographer of the Year Awards, where I finished top diagnostic radiographer in final three. CT (special interest in IV administration, CT Colon, best practice), Professional Development, CPD , Advanced Practice, Social Media and I also volunteer with Irish Therapy Dogs.